Thank you for signing up to the Study Smart email course! Check your email for a message from “The Study Gurus” with the subject “Please Confirm Your Email Address”. If you don’t see the email in about 5 minutes, check your spam filter. If it’s still not there, let us know at clare@thestudygurus.com and we can help! Click the weird looking link in the confirmation email. Add clare@thestudygurus.com to your list of “safe senders” in your email program. 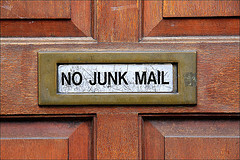 Otherwise our emails could wind up in your spam filter (and we don’t want that!). Once you do that, you’ll receive the Study Smart course. You’ll also get our blog updates, which we send out every Monday. In the meantime, please browse through our archives at the Blog Page.